The Israeli TV has reported that the Israeli government sent an indirect message to Hamas movement in the Gaza Strip, threatening a massive military offensive against the coastal region. Earlier Tuesday, the Israeli Army Chief of Staff Aviv Kochavi ordered the deployment of additional reserve soldiers near the Gaza border, in addition to deploying various brigades of the Southern Command. Also on Tuesday, the army bombarded dozens of Palestinian homes, buildings and facilities across the besieged Gaza Strip, displacing many families in the already besieged, improvised and war-torn Gaza Strip. 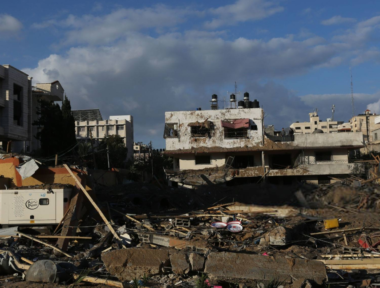 Owner of many of the targeted homes said the army called them just minutes before firing missile at their homes and added that they were barely able to remove their children from the properties before the Israeli missiles struck them. The Israeli missiles have led to many injuries among the Palestinians, including children and the elderly. On Tuesday at night, the Israeli Airforce fired several missiles into Palestinian buildings, including police and security centers, east of Rafah, in the southern part of the Gaza Strip. The Israeli missiles and shells have already destroyed 30 Palestinian residential units and caused damage to 500 others.